Viewing Republican senators and their hired female lawyer impersonate a nervous bomb squad during Christine Blasey Ford’s testimony last Thursday, I couldn’t help but think about Proverbs 18:17, which counsels patience in such matters. Lacking any corroborating evidence, the Democrats again and again demanded an FBI investigation. Judiciary Committee Chairman Charles Grassley, Iowa Republican, told them to take a hike. Later, President Trump ordered a one-week FBI investigation of the various allegations brought against Judge Kavanaugh. They are also attacking the FBI probe, saying that it is not wide enough. You know, they want it to be like the Mueller probe, which is now deep into Trump’s sock drawer and his purchase of a movie ticket to see “Dr. Zhivago” back in 1965. Finally, they want the American Bar Association to reopen its vetting of Mr. Kavanaugh, to whom they gave the highest rating. In perhaps his finest moment, Lindsey Graham, South Carolina Republican, exposed the whole charade as a cynical “sham” to delay the Senate vote until after the November 6 midterm elections. Vulnerable Democrat senators do not want to go on record. Feinstein, the ranking minority leader on the Judiciary Committee, sat on Ford’s explosive allegations for weeks while arranging for her to obtain an attorney known for Democratic activism. A letter sent by Ms. Ford only to her congresswoman, Anna Eshoo (D-California), and Mrs. Feinstein somehow got leaked to the press. Sen. Feinstein professed no knowledge of how this could have happened. She mumbled something about reporters “asking questions,” but they wouldn’t have been doing so if the letter had not been leaked. Dr. Ford had asked for confidentiality. Meanwhile, the Democrats again absurdly accused President Trump and the GOP of “rushing” the process, even though the Supreme Court nominee had submitted four times the total number of documents of all previous nominees combined, had been vetted by the FBI, given the top rating by the American Bar Association and was well beyond a typical vetting period. Leading the pack was Sen. Richard Blumenthal (D-Connecticut), who accused President Trump of a “coverup” for not ordering an FBI investigation. We can understand why the Republicans hired Arizona lawyer Rachel Mitchell to question Dr. Ford. The Democrats and their media were itching to portray a gang of white men abusing a poor, female victim. It wouldn’t have mattered what they said or did. In another under-explored point, Dr. Ford said she took a polygraph test on the day of her grandmother’s funeral. Then she said it might have been the next day; she wasn’t sure. Would you remember whether you performed such a task on the day of your grandmother’s funeral less than two months ago? Yet we are supposed to believe her account of what happened in 1982 against a man who has shown no evidence of a dastardly nature. 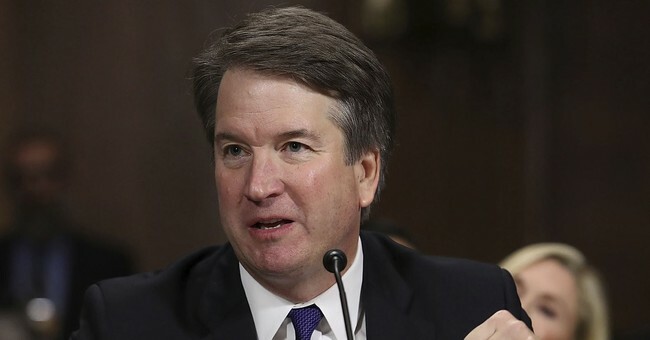 I have no inner knowledge of Republican strategy, but I would guess they thought Judge Kavanaugh’s own testimony would be so compelling that it would win the day without beating up on Dr. Ford’s credibility. Maybe they were right. Democrats did seem perplexed about how to attack after Judge Kavanaugh’s forceful denials, in which he cited unanimous refutations of Dr. Ford’s accusation by the only witnesses she cited. Rhode Island Sen. Sheldon Whitehouse looked foolish and petty while grilling Mr. Kavanaugh over references in his high school yearbook. The Democrats failed miserably in floating other recent, uncorroborated charges by two other women. So, they tried unsuccessfully to turn the judge into a stumbling, 17-year-old drunk who could not remember sexually assaulting a 15-year-old girl. It didn’t work. The judge admitted to drinking beer as a teen and in college, but fiercely denied ever “blacking out” or failing to remember what he did the night before. Try as they might, the Democrats caught him in no contradictions. The hearing lasted more than eight hours, starting at 10 a.m. ET. Let’s hope millions of Americans were watching.